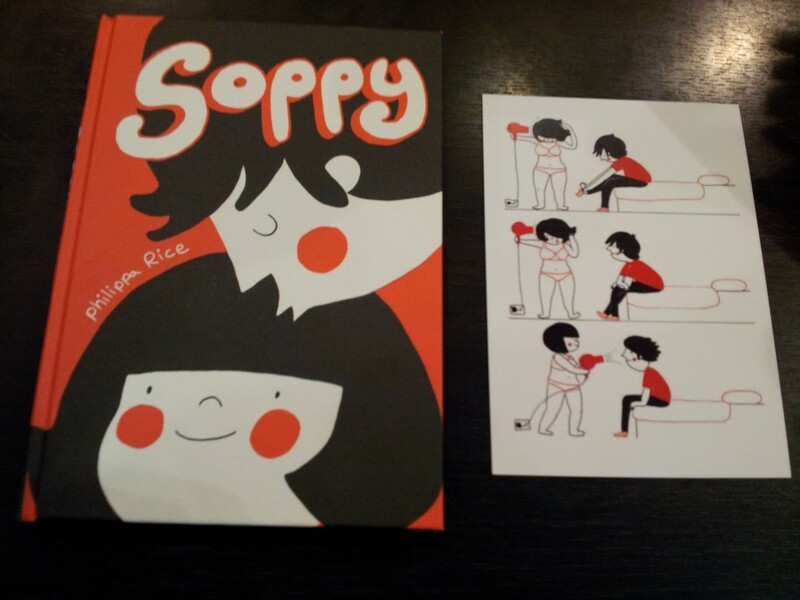 Now SOPPY becomes a pocket-sized hardcover so substantially expanded that it is a brand-new beast with a narrative all of its own. Oh, those early days of tentative texting and waiting for one back! Learn how Luke and Philippa first met! 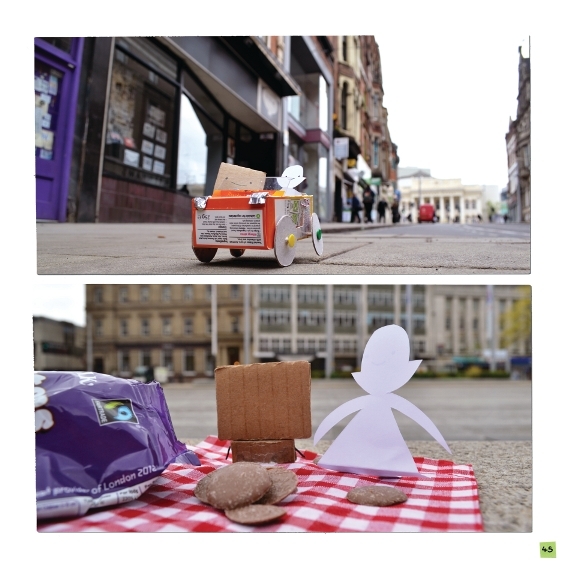 See them at the cinema for the very first time! 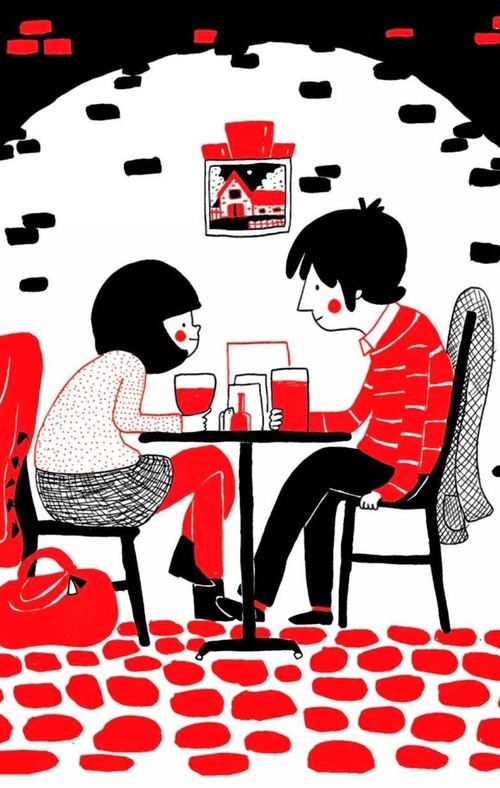 Dote on them dining out! Warning: there will be brief bursts of domestic ding-dong as the two fall out over nothing. Sound familiar? Behold the miraculous, healing power of a milkshake! Behold the miraculous, healing power of a “Sorry” then moving so swiftly on! There will be free promo items on the day! 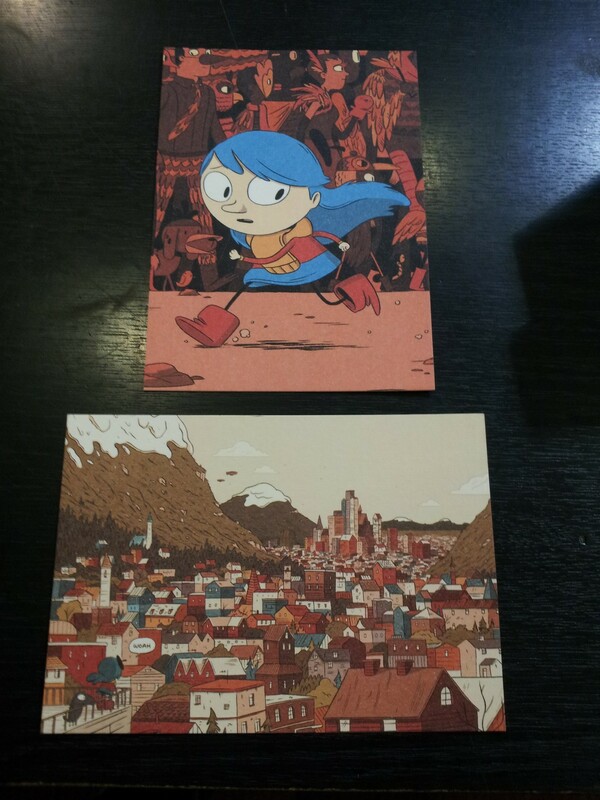 Oh, my sentimental souls, there will indeed be free promo items supplied by Square Peg / Random House like the Philippa Rice postcard above and the wrapping paper below AND by and Flying Eye / Nobrow like these very Luke Pearson HILDA postcards! Just queue at the counter and we’ll run it like clockwork! Also: Free Scribbles And Squiggles! 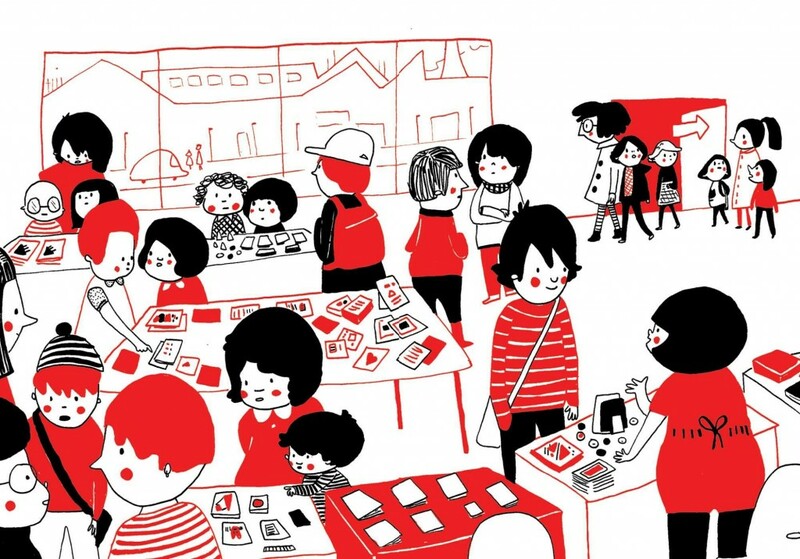 Philippa and Luke will sign all their own books – as many as you care to bring or buy on the day – and they will each sketch in one of them for free! The sketch doesn’t have to be in SOPPY – though they will co-sketch in that if you fancy – Philippa’s sketch, for example, could be in WE’RE OUT wherein Page 45 appears on its 45th page! Luke’s could be in one of his glorious, British Comics Awards-winning Young-Adult HILDA graphic novels on sale at Page 45, as ever, on the day. 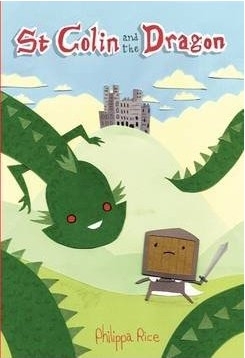 More on both creators’ books below, but here for the very first time is our preview of the SOPPY hardcover published on 8th January 2015. 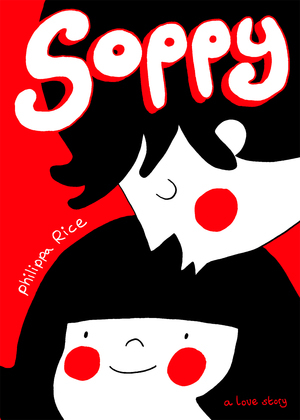 Soppy h/c (£10-99, Square Peg / Random House) by Philippa Rice. Rarely have I been so immediately, directly and profoundly touched by such an intimate work of art. There is a purity here both in the content and in the lines and shapes which depict this autobiographical insight. It’s dedicated to Luke Pearson, creator of the glorious, thrilling, luxurious, British Comics Awards-winning Young-Adult HILDA graphic novels and Philippa’s own beau as he bends down gently to photograph a flower. That pretty much sets the scene for this most tender of relationships. “We’ve had a letter addressed to both of us!” declares Philippa on their first shared envelope and they beam at it as proudly as parents. A house-warming welcome? A Christmas card? A Wish-You-Were-Here…? 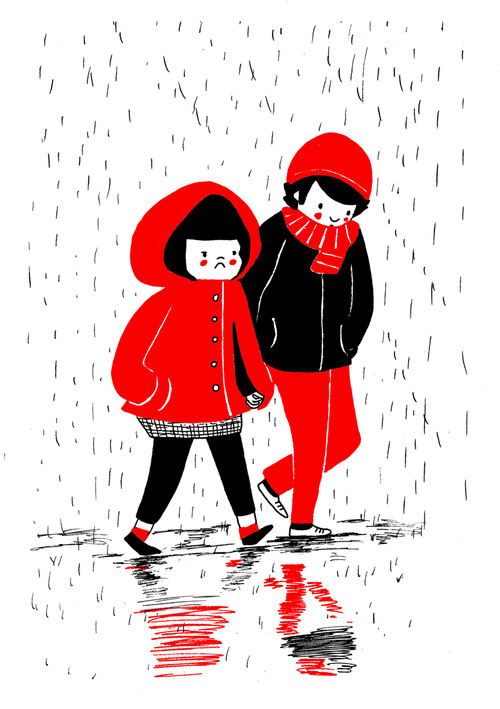 See them trudge through the rain hand in hand, P’s hoodie high while Luke buries his chin in his scarf! Oh, but there’s grumpy old pout on Philippa’s rosy-cheeked face! I defy you not to emulate it the second you see that page: it is infectious. Once home with Luke working late, Philippa pops her head round the door of his study then returns wrapped in an enormous, brightly spotted duvet. The next and final panel sees her face-down on the floor, sunk into the thick, billowing folds of the duvet which looks a big, furry carapace, only the top of her head poking out, tortoise-like, to read a graphic novel, hands-free. Everything is so perfectly placed: the two of them shifting round their bed at night, back-to-back then wrapped round each other in rotating combinations. The curves there are delicious: the contours of Luke’s pants round his bottom and Philippa’s night shirt round her waist and chest. She has an incredible sense of form and body language. It’s actually very brave of both of them to bring such joy to the world by revealing so much of themselves. Though there was a bit of a misprint which revealed far more! Far from cloying, this is above all gently comical. 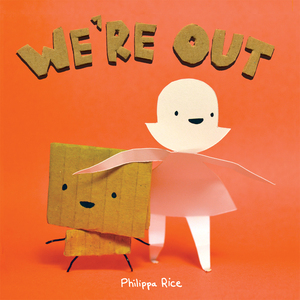 You might think you know all there is to know about Philippa’s craft from WE’RE OUT, ST. COLIN AND THE DRAGON, LOOKING OUT, MY CARDBOARD LIFE and RECYCLOST, but this is cut from completely different cloth, and it is absolutely beautiful. Here’s Luke and Philippa on the couch in front of their television set which is filling the late-night living room with the most lurid scenes of gore and evisceration. Philippa shrinks into Luke’s shoulder, hiding behind his knee. 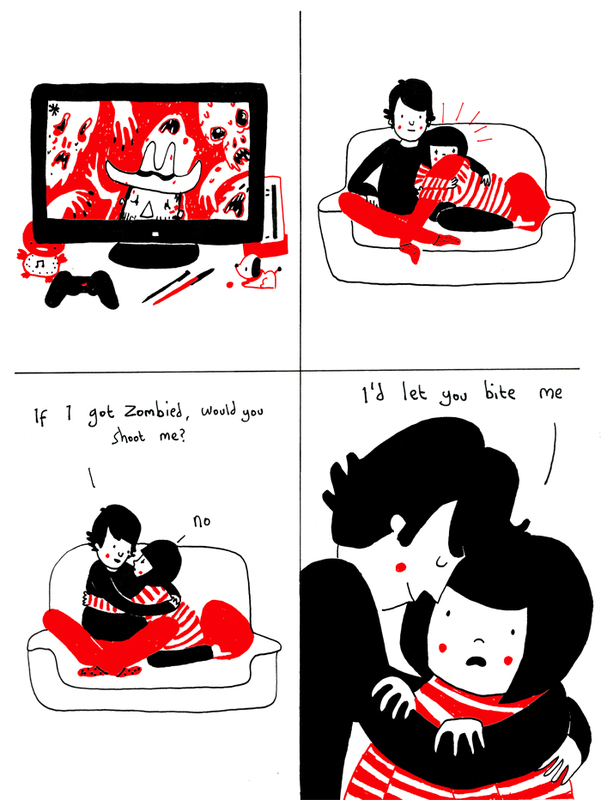 “If I got zombied, would you shoot me?” asks Luke later, his arms wrapped around her. Luke presses his forehead into her hair, blissed out by the answer, but it’s the expression on Philippa’s face which does it: utterly aghast and taking the question quite, quite seriously. It’s romantic precisely because it is not some far-flung, far-fetched, passionate whirlwind set against the backdrop of an exotic Africa, desperately trying to save several species in decline while corrupt politicians connive with poachers to fur-line their pockets from the indigenous and the endangered. It’s Philippa Rice and Luke Pearson reading in bed or doing the dishes, falling asleep on top of each other in front of some late-night TV. The daily domestic routines are the best: Luke, hands in marigolds so diligently deep in the suds-filled sink, racking up a stack of clean bowls and plates; Philippa deciding that now is exactly the right time to make herself a sandwich. It’s the final panel that does it, as Philippa deposits her dirty plate by the sink with most beatific smile in the world, Luke pausing with a soapy hand on his hip. As to walking home with the shopping, I am exactly the same: fresh baguettes, eh? I never can wait. One of the funniest pages begins with a little mardy misdirection, because I’ve never seen this expression on Philippa’s face. I’ve seen ‘puzzled’, I’ve seen ‘thinking the question over’, and I’ve seen ‘seriously concerned for others’. But mostly all I’ve witnessed is ‘radiating happiness’ like the best dressed sunshine imaginable. I’ve never seen the cross-patch here, deep-furrowed frown accentuated by enormous blotches of fire-red cheeks as if there’s a furnace of rage burning inside. In fact I find this so unlikely that I call Philippa on it: I think she’s doing a Joe Decie and making it up. 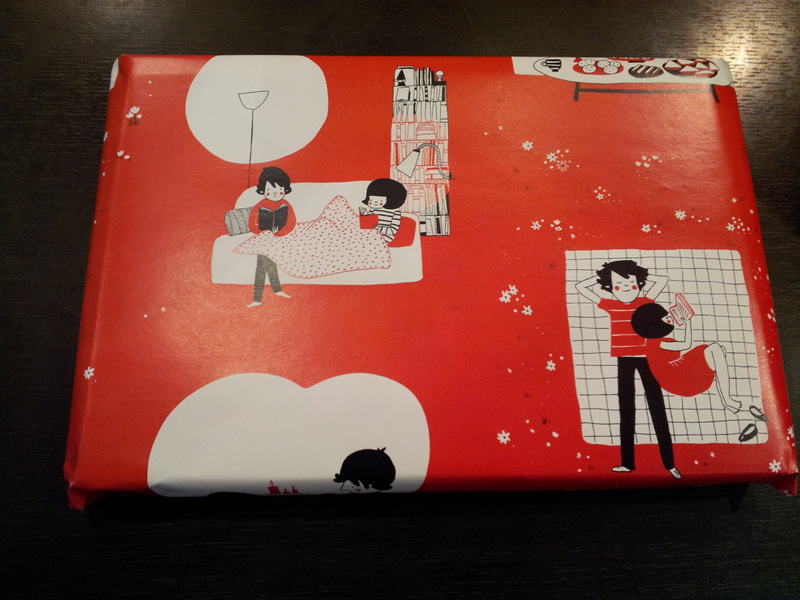 Includes two different end-papers which I reckon are worth the price of admission alone. You’ll see! 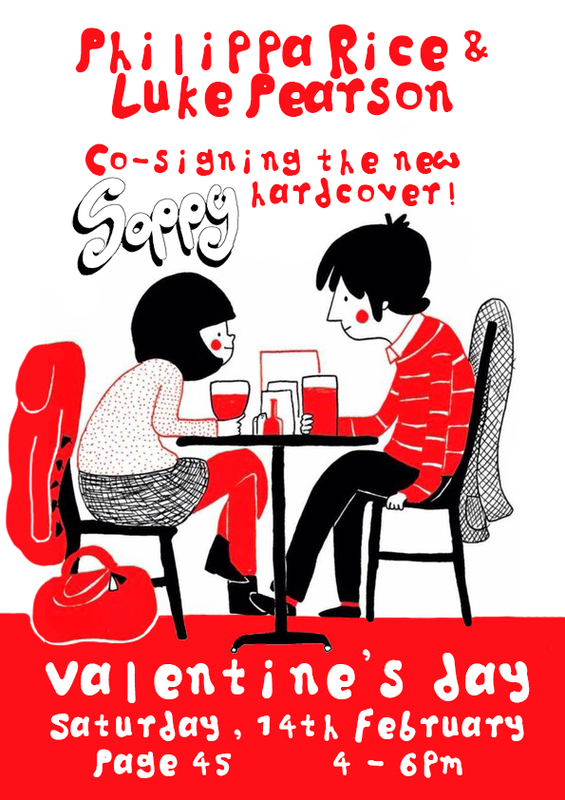 The book is out now and we ship worldwide but you can also order SOPPY from Page 45 in advance of the signing (and everything else that you fancy) and select “collect in store” then it will be ready and waiting for youwith no postage to pay on Valentine’s Day. We will not sell your copy to anyone else! If you can’t make that day Page 45 guarantees that all orders placed from anywhere in the world, online or in store, before 7th February will be signed by Philippa Rice and Luke Pearson for free but you must ASK for this service or they will be dispatched immediately upon ordering, squiggle-free! If you have any questions now or on the day, please phone 0115 9508045. This entry was posted on Wednesday, December 31st, 2014 at 12:59 pm	and is filed under Various, Letters & Other News. You can follow any responses to this entry through the RSS 2.0 feed. You can leave a response, or trackback from your own site.